With slow fashion, an antidote to its hazardous counterpart of factory-produced ‘fast fashion’, becoming more integrated with mainstream ideas of the fashion industry, every day is an opportunity for its vanguards to find new ways of making sustainable fashion more accessible to the world. 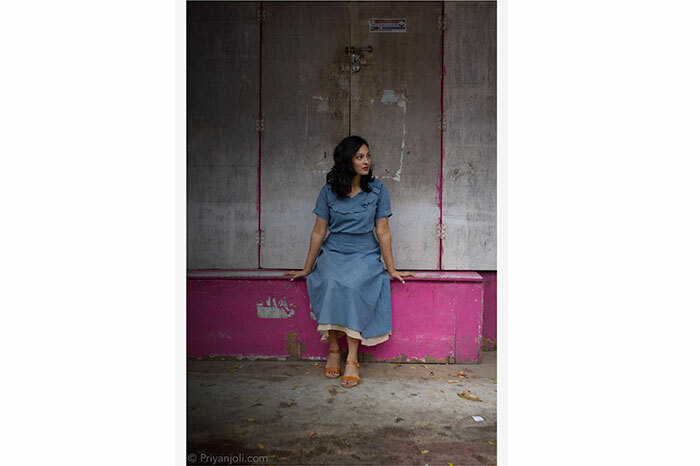 Darshana Gajare’s Fairtrunk, an interactive platform that promotes discovery of slow fashion and lifestyle products, is one such venture that is not just making slow fashion products available but creating awareness for the need to switch to sustainable alternatives. Founded in 2016, Fairtrunk was initially a mere blog trying to spread knowledge about sustainable fashion and how the fashion industry had become fatal for the environment. Soon, it flourished into an online platform where people could discover ethically produced products. However, in just two years, Fairtrunk has evolved into a unique enterprise that isn’t limited to just curating sustainable brands, as it also holds offline events where people can interact with other pioneers of slow fashion and gain a deeper, more fulfilled understanding of this particular phenomenon. Their latest event ‘Fairtrunk Offline V3’, being held on October 6, is bringing the best of sustainability to Mumbai by organising an entire day filled with talks, panels, and other fun activities that promote ethical fashion. From a curated lineup of some of the best slow fashion and lifestyle brands to shop from to a conversation with Shyam Sukhramani, the founder of Korra Jeans – a sustainable denim fashion label, the event guarantees an entire day of interacting with like-minded people and understanding the concept of slow fashion beyond just the surface. Kappad, Indiemaharani, Funky Kalakar, Bayu Sustain are some of the many sustainable brands you can expect to find at this one-of-a-kind fashion festival. Other events include an informative workshop with Anuj Sharma, the founder of Button Masala – a sustainable fashion label that makes clothes, bags, and upholstery items using a simple technique involving just buttons and rubber bands. A surprisingly refreshing technique that is not just simple and quick but also really economical, Anuj will be providing a hands-on learning experience of what it’s like to make clothes without any cutting or sewing. To make the process of incorporating ‘slow fashion’ into our wardrobes more realistic, Fairtrunk has also organised a unique Clothes Swap – where you can carry your almost-new clothes or just stuff that you’re bored of to the event and swap them with friends, acquaintances or even strangers, and come home with a few new additions to your wardrobe, without having to spend any money or generate unnecessary trash! In addition to food, drinks and great company, Fairtrunk will also be hosting an evening of curated storytelling organised by Kommune. The lineup will include Ayushee Ghoshal, Ankur Tewari, Divya Ravichandran, Jasmine Khurana, and Anuj Kumbhat. You can find more information on Fairtrunk’s Facebook page.